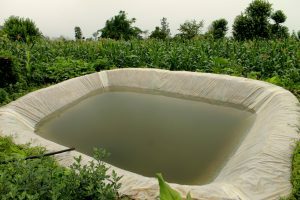 Rain water harvesting involves the collection of water from roofs and hard standings and storing this water for later use. The recycled rain water can be re-used for toilet flushing, laundry and irrigation. Aquaco offers the lowest cost Rain water Harvesting Systems available. They can be gravity fed or pressurised to directly serve the fittings required. An Aquaco Rain water Harvesting System will gain essential Code for Sustainable Homes points towards planning permission. The Aquaco Rain water Harvesting System is a high value, low cost system rarely beaten on price. The Aquaco Rain water Harvesting System also cuts down on carbon emissions by saving the power used in fresh water processing, therefore benefiting the environment. The size of the Rain water Harvesting System will depend on where your home is located, the roof area, number of occupants and the uses of the recycled rainwater. Aquaco will size your system and supply all your requirements. Direct Rain water Harvesting – Supply goes straight to appliances from collection tank. No space required in loft for header tank. Indirect Rain water Harvesting – Supply goes to appliances via a header tank. Water is gravity fed to appliances saving on energy due to reduced pump starts. The Aquawiser RW range is used for all residential installations.